//Motion comics and superheroes are the bread and butter of animators here at Powerhouse Animation Studio. 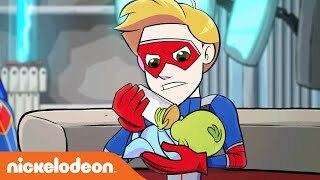 This past year, we got the chance to work with Nickelodeon to bring the heroes from Henry Danger to life in an animated web series, where the heroes explore a whole new dimension (literally) of superhero antics. When you’re looking to make superheroes come to life, you come to us. 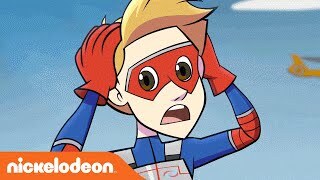 We took the live action Captain Man and Kid Danger and turned their flesh-and-bone into vibrant RGB cartoon heroes in our web-exclusive, animated comics. Now in their 2D environments, the two heroes are capable of even weirder adventures. Join the dangerous duo as they babysit a monster baby or go to the dentist! You know, the usual superhero stuff.